Last summer, the trailer for this latest release from the Old-Time Tiki Parlour started showing up on social media. It opens with black screen audio of Bruce Molsky blazing through the classic fiddle tune Old Sledge followed by a seemingly audacious quote from Darol Anger, a founding member and fiddler from the David Grisman Quintet; declaring Bruce Molsky to be “The Rembrandt of Appalachian Fiddle.” For years, musicians I know from genres as diverse as Balkan, Irish and Trad. Jazz have brought Molsky up in conversation: “You’ve never heard Bruce Molsky?” Admittedly, it was the aforementioned trailer that got me surfing the net for videos and recordings and needless to say, I am a convert with the release of Can’t Stay Here This a-Way. Like last year’s “epic” set produced by the Old-Time Tiki Parlour featuring Dan Gellert, Can’t Stay Here This a-Way (See FolkWorks review) features both an audio CD as well as a DVD showing Bruce playing many of the tunes and songs. Why? Well, for starters, there is very little visual documentation showing us how many of the old fiddlers and musicians played, bowed, claw hammered, etc. so for both current and future generations, this is a tremendous resource and well, it’s just a delight to see Bruce practicing his craft on that now famous Tiki Parlour red couch. Can’t Stay Here This a-Way opens with a flawless Shelving Rock from West Virginia fiddler John Johnson. I really am at a loss for words with this. Bruce’s bowing, on the one hand, is wildly syncopated, feral even; while simultaneously smooth and elegant, always threatening to jump the tracks but pushing ever onward with increasingly complex bowing and ornament. On my first listen through this record, I found myself repeatedly listening to Old Virginia and Red Rocking Chair multiple times in a row. These are sublime examples of Bruce singing while playing fiddle; not overly unique in itself but Molsky is a master of blending his voice and intricate fiddle playing. There is no shortage of phenomenal fiddle tunes on this recording and a few other favorites include the thoughtful Morgan on the Railroad and Polly Put the Kettle On; the thick double-stop drones of Laughing Boy offset by pizzicato; and the interesting Métis Set, which at times sounds Irish, Québécois, Maritime, etc., reflecting the mixed Native American-French-Irish-Scottish heritage of the Métis culture. Outside the Old-Time community, Bruce has some notoriety for his collaborations with Shetland fiddler Aly Bain and Swedish mandola virtuoso Ale Möller. 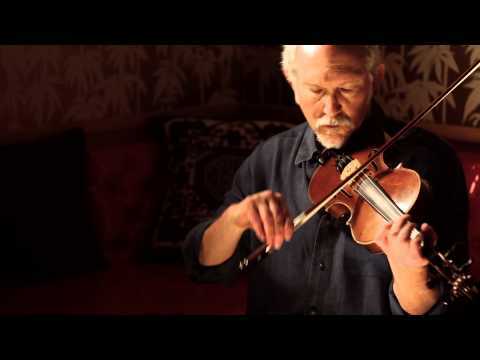 On Come Home, Bruce’s intricate adaptation of Swedish fiddler Kyell-Erik Eriksson’s composition Kom Hem Bruce displays his guitar mastery in an unusual open C tuning. Additional offerings on guitar include Molsky’s Brothers and Sisters and the up-tempo take on a Little Hat Jones’ blues song re-titled Bye Bye Little Girl. For fans of Molsky’s superb banjo playing, you won’t be disappointed as there are some real ringers here including the straightforward but deftly executed We’ll Have a Way Hoeing Corn and Flying Indian as well as Married Man’s Blues a song from the early repertoire of the great Wade Ward. Can’t Stay Here This a-Way ends as it begins, with a fiery set of West Virginia reels: Solly’s Favorite coupled with Ed Haley’s Old Sledge that frankly defies the laws of gravity or at least what should be possible with a fiddle bow. Can't Stay Here This a-Way marks the 6th release from David Bragger’s and Rick Hocutt’s Old-Time Tiki Parlour and is available May of 2016.